This yearly gathering is open to all members and provides playwrights a chance to meet collaborators, share ideas, and fill up on some good food. The backbone of ScriptWorks, the Salon provides a place for playwrights to hear their work in an informal setting. Monthly salons feature unrehearsed readings of finished plays or fragments from plays-in-progress by members and are followed by writer-driven discussions with fellow ScriptWorks members. Austin Salons usually occur on the last Sunday of the month at 6:30 PM. Members must have attended two salons before they can have one scheduled for their work. Prospective members are welcome to attend a Salon before joining. This is the information you need to know. Sent to all members via email, ScriptWorks’ weekly newsletter includes announcements of upcoming events, member awards and productions, submission opportunities and other items of interest. ScriptWorks presents workshops and symposiums given by leading theatre professionals and playwrights visiting the Austin area. Previous guests include Erik Ehn, Megan Monaghan, Liz Engleman, Naomi Iizuka, Ruth Margraff, Sherry Kramer, Jennifer Haley, Amparo Garcia-Crow, Rodrigo Duarte-Clark, Octavio Solis, Kirk Lynn, Caridad Svich, and Steven Dietz. Affair, liaison, bed-hopping–whatever you choose to call it–sometimes a fling is just what a writer needs. In this fall event, members spend 48 hours writing 10-minute plays based on an arbitrary set of rules. Selected plays are produced in the spring Out of Ink Festival. Held every November. Selected plays written during the Weekend Fling are presented in a showcase production. An annual event held every Spring. 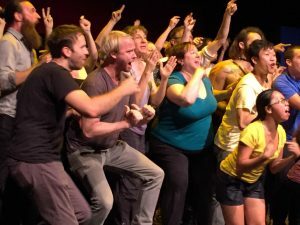 Featuring over 800 performers from all over Austin, the state of Texas, and the United States – FronteraFest is five weeks of alternative, offbeat, new, and just plain off-the-wall fringe performance you don’t want to miss. Co-produced by Hyde Park Theatre and ScriptWorks, FronteraFest features the Short Fringe (for pieces up to 25 minutes), the Long Fringe (for pieces 45-90 minutes), Bring Your Own Venue (for site-specific work) and Mi Casa es Su Teatro (works performed in homes all over Austin). Applications are accepted on a first-come, first-served basis and are available in August with a deadline of November 1st. The festival occurs annually in January and February. Tired of not getting produced? Produce it yourself! ScriptWorks gives four, one-act commissions (up to $200) to members for production in the FronteraFest Short Fringe. Deadline for commission applications is in September. What do you need to get started? Travel for research? Translation services? Devising time with actors? The Groundwork Grant can provide that and more through funding of up to $500 for work at the beginning stages of creation. Grants are awarded quarterly. This fund is intended to support existing projects in development with support up to $500. 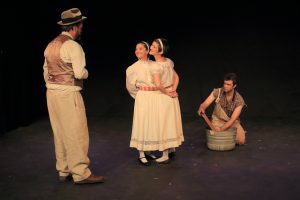 Funding can be used for a range of project needs including research, travel, workshops, and collaborations with actors, directors, dramaturgs, or other creative team members. The funding is awarded quarterly. Trouble-shooting is never easy, especially alone. This ongoing program provides playwrights the opportunity to put their heads together with a ScriptWorks dramaturg, untangle wires and spark new ideas. Umbrella services which allow members to apply for grants or raise funds from individuals using ScriptWorks’ non-profit status. When appropriate, ScriptWorks may give financial support to a local theatre producing a world premiere of a member’s play. The production is held to an “Author’s Bill of Writes” assuring the writer mutual approval over artistic decisions. 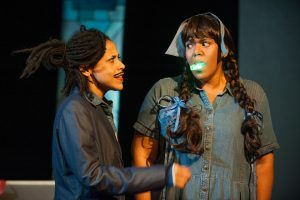 One of the biggest challenges facing playwrights in the central Texas region is getting their work into the national theaters. To address this, ScriptWorks promotes members locally and nationwide through our website and provides recommendations for script submissions to professional theaters and agents upon request and review. 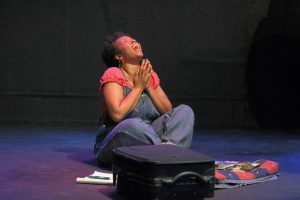 ScriptWorks partners with national One-Minute Play Festival in New York City to showcase the work of local playwrights in an evening of 50-70 one-minute plays written specifically to address a moment in time in Austin. 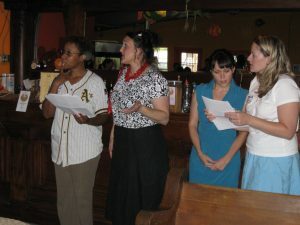 There are three performances that occur in mid-late August.